A historian is an electronic record of data logged over time. For Supervisory Control and Data Acquisition (SCADA) systems, it typically describes the database that contains most or all values monitored over time. Most SCADA software packages display a graphical representation of a water system, nice images of tanks and pumps that turn colors and change levels to show the current status. The “current status” views are great to make sure you have enough water at any given time. Pair that with a world-class historian and you have the most powerful tool available for water management. Many SCADA software packages offer a historian as an additional feature, this is a standard feature in all XiO Cloud SCADA® Control Systems. There are many methods of storing historical data as it is collected from sensors in the field but the basic purpose is universal: historians provide an easy way to look back at data to get a snapshot in time of what happened or to provide context to see how a system or event changes over time. There are two main types of values that are captured by historian software: Logged Data and Events. Logged data are time-stamped values of measurements taken in the field (e.g. Tank 1 Water Level at 1:22am). These are generally stored in a database to be accessed or displayed at a later date. Events are logged as operators interact with the system. A full-featured historian will log what changes were made by whom and when. Unfortunately many historian packages fall short and do not offer a full event log, this is a critical feature that enables managers with a large staff of operators to effectively monitor their water system and their team. The standard XiO Historian includes a full database of all logged data and events. Is 10 ft. abnormally high? What was the level a minute ago? Is it rising or falling? Is it rising or falling faster than it normally does this time of the day? Is it rising or falling faster than it normally does this time of year? Is a pump running to fill the tank? Should a pump be running to fill the tank? Is the tank supposed to be at that level? Did an operator make a change that would cause it to be at 10ft.? How many times has the level dropped below the minimum allowable level? The list of possible questions goes on. Historian software packages allow operators to display data in graphs with overlays, and tables that enable them to compare values throughout an entire system. This enables them to answer the questions and tell a story. The SCADA industry has fallen behind in its utilization of emerging technologies. Many systems operate with software packages installed on computers and servers that are physically located in the control room or office of a utility. When historian programs are installed on hardware like this, they become limited by the storage capacity of the hard drive. Sensor technology is enabling utilities to collect thousands of data points a day even on small water systems. This high volume of data is quickly exceeding the on-site storage capacity of many dedicated “SCADA Computers.” It is far too common for a utility to use their SCADA Computer long after it begins showing signs of failing. These computers were extremely difficult and expensive to set up so now employees are afraid to make changes. This is a recipe for disaster. EVERY COMPUTER WILL FAIL, it is only a matter of time. If you have not done proper backups or expanded storage capacity, your data will be lost. 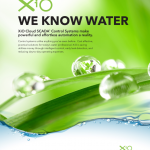 XiO utilizes powerful cloud servers to provide users with unlimited data storage. These servers are professionally maintained with constant backups, and geographically redundant server hardware so data is never lost. Every active XiO user will have complete access to their historian any time, from anywhere. This capability is only made possible by relatively recent advances in cloud computing and data management. 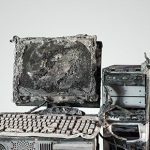 Data is kept safe even if the hardware is destroyed. All XiO Cloud SCADA® Control Systems come with a built-in disaster recovery plan. System design information and data is stored securely in cloud servers so in the event that hardware is destroyed, it can be quickly re-built exactly as it was and data continuity will be maintained. This has been extremely valuable to recent fire victims in Sonoma and Ventura Counties. Historian software can be very expensive, especially for small water systems on a tight budget. With traditional historian packages generally costing an additional 15% of the cost of the SCADA software package, you can expect to pay upwards of $1,500 (in addition to the cost of the SCADA software package) for a full featured historian program. XiO provides this same capability with every Cloud SCADA® Control System included, among much more, in the low monthly service. 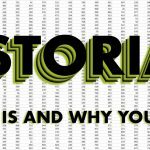 Historian packages are invaluable additions to any SCADA system. Whether it’s used for management reporting, regulatory compliance, or event troubleshooting. Collect and protect your data wisely to get the most out of your water system.